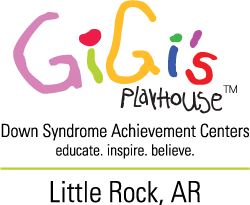 On June 8, 2019, we're opening at 301 N Shackleford Suite D 2-3 in Little Rock as the 46th GiGi's Playhouse location in North America! Come join in the fun and festivities starting at 5pm! Meet founder Nancy Gianni, her daughter GiGi, and participate in the ribbon cutting ceremony. Join the action at the Kentucky Derby Winner’s Circle Gala benefitting GiGi’s Playhouse Little Rock.